Occasionally a product comes by that it so simple, yet so useful I think "Why didn't I invent that?" The new Scotty Bait Board is one of those products. Basically, the Scotty Bait Board is simply a cutting board attached to a Scotty mount that you can place in any Scotty base. 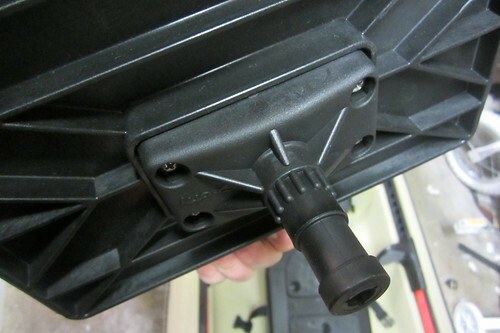 Most boats or kayak have a few Scotty compatible bases scattered around. My Trident 13 has 9, and I plan on adding more! A bait board is a nice luxury. It helps keep things clean and organized. I hate using the top of a Plano box or my kayak to cut up bait. When a hook gets dull or I try a new lure the old one usually get tossed into my footwell to be forgotten. The Scotty Bait Board gives me a place to put this gear. 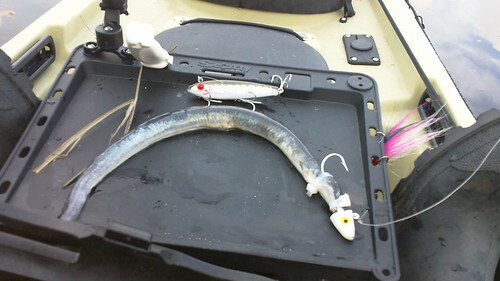 Who wants dead eel slime on their kayak or tackle box? Like all Scotty products, The boards construction is very good. I am tough on my gear, but I have full confidence in this. It is most certainly sturdy enough to cut bait on, even big baits. Once it is in a holder it is like it is a permanent piece of your boat. It is easy to move around. I keep it in the mount on my Rod Pod farthest away from me and move it forward when I need to use it. 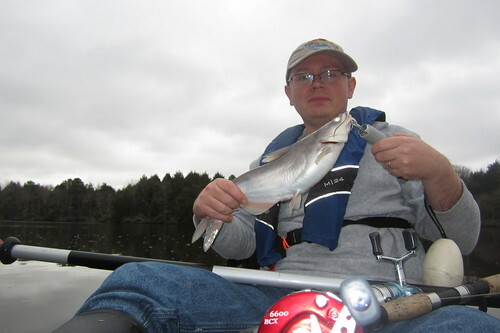 I have landed quite a few fish with it attached and it has never gotten in my way. This setup may not work if you have big feet, but it is perfect for me. 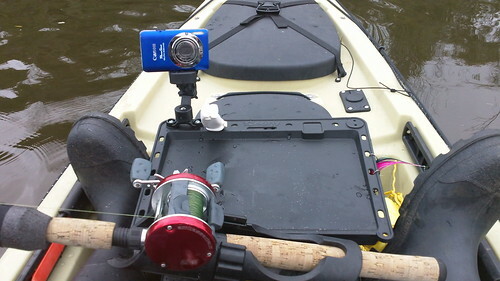 It is designed to hold lures around the edges and has built in mounts for other scotty products like their camera mount and cup holder. I found one of the slots perfect for my knife. The Scotty camera mount (which is not included) worked particularly well, positioning the camera almost perfectly for trophy shots. You can purchase a riser to raise it up and customize its position. I may do this, but it is certainly not necessary. I think the pictures would benefit from it being higher, but am afraid it would begin to get in my way. There is very little bad I can say about this product. It is well made and serves a much needed purpose. I foresee it becoming one of those things I use every time I go out. 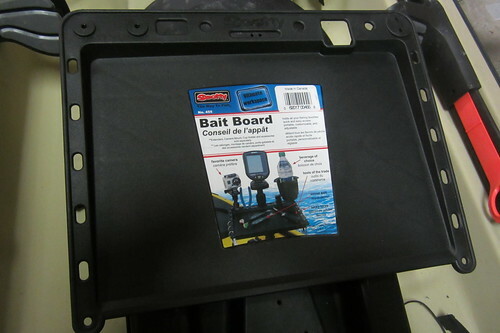 I purchased it from Hook1 for $17.99, but it can be found at most online fishing retailers for about $20.